As the La Liga official started off by telling Marc Bartra what exactly was off-limits, tiny little butterflies started fluttering around my stomach. I'd been looking forward to the interview with Bartra, not just because he is an A-grade footballer but also to try and understand the mind of someone who went through great trauma and it would have been fascinating to understand the psyche and inner workings of the man who overcame it all with a smile and a wave of his hand. I'd had the opening kept ready - the boom of the blast, the smash of the glass shattering, the thwack of the bone cracking. But as Bartra's kind voice floated across from Seville, as he talked about the game he loves - the game we all love - with a lovely, almost child-like, passion, I realised what a mistake it had been to try and premeditate the interview. If in his silence about the blast he revealed that there were still some wounds taking its time to heal underneath the surface (none of us on the call asked him about the incident, not everyone in media is a soulless cretin, you know - we do respect the sensibilities and wishes of the people we write about), in his openness to talk about moving away from Germany he also helped shape the narrative away from the one that had been unofficially - and officially - swirling around his departure, nurtured by those in power at the Westfalenstadion. "Marc Bartra is a wonderful person and a great footballer who immediately won our hearts," said Dortmund chief executive Hans-Joachim Watzke in January while announcing the Catalonian's departure. "Unfortunately, terrible things happened to him in Dortmund because of the cowardly attack. Against this background, we respect Marc's desire to return to his homeland and leave everything behind." ﻿He had been asked to testify earlier that month as a witness in the bombing case, the pain, and suffering he had to endure clearly evident in the statement he made to the court - "I feared for my life. I feared I would never see my family again," it read. "When I remember it, I don't feel good." All this had given us the image of a man running away from his nightmares, a man who wanted to leave his own private hell behind him... hence my desire to start the interview with that incident... but as we talked, it became plainly evident that the decision was more a footballing one than anything else. Of course, the attack would have scarred him and made him face his worst fears, but he didn't leave Dortmund because of that. 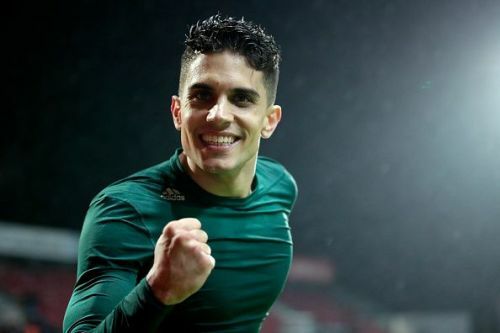 In the immediate aftermath of the incident, Bartra had taken to Instagram to profess his love and gratitude to all those who stood by his side... and in the midst of it all had written: "I think the shock is decreasing more and more and, at the same time, it adds to the desire to live, to fight, to work, to laugh, to cry, to feel, to love, to believe, to play, to train, to continue to enjoy my people, loved ones, companions, my passion, to defend, to smell the grass as I do before the game starts and motivate me." Strong men don't run away from their fears, they do not hide it, they do not ignore it... they build inspiration by facing it. In the aforementioned narrative what is often forgotten is that Bartra had been a permanent, trusted, fixture in Thomas Tuchel's XI and that after two months out - recovering from the radial bone fracture he'd suffered - he was ushered into the starting lineup for the DFB-Pokal final against Eintracht Frankfurt. Tuchel's tempestuous departure, though, had an immediate impact. His replacement, Peter Bosz saw the steadily improving Bartra as a utility player and alternated him between centre-back and right-back and his replacement, the pragmatic Mr. Peter Stoger, looked at the fancy Catalan ball-playing defender he had and asked him to sit his backside down on the bench - or in the stands. "I wanted to have many minutes, and enjoy football." he tells us as he explains why he left Dortmund "Also, to have real options to be in the World Cup and – After Stoger arrived I didn’t have any minutes." "The only thing I know is that when I was playing in my position at centre-back I felt really comfortable and the team won a lot of matches with Thomas Tuchel and the first few with Peter Bosz. For me, everything changed in November (he was played at RB in 4 of the 5 games that month), the team dynamic changed, we lost a lot of matches and I was playing in another position and furthermore with Stoger – from the first minute - he preferred to put another player before me… and he was very clear with me and I didn’t want to lost time and [hence] my decision [to move]." Loyalty cuts both ways, and while it's natural for Dortmund fans to complain about the likes of Mats Hummels, Mario Gotze, and Robert Lewandowski walking away from the club - and the fans - that made them, it's plainly evident that Bartra deserves no such acrimony... and it's not just because of the natural sympathy the incident brings with it. No employee can be, should be, loyal to an employer that does not respect him (/her), that does not understand the true value of what he brings to the workplace, that does not provide him an opportunity to grow. However much he may love the atmosphere, the co-workers, the company itself, at times such as this, no one can begrudge the employee looking for brighter prospects. That's all that Bartra did. This wasn't about his nightmares. This was about his career. There's no need to confuse empathy with sympathy. "Betis showed me a lot of confidence. I’m motivated by the (plans) that Betis had for me", and boy, did Betis - and their charismatic manager, Quique Setien have plans for him. The Sevillanos had conceded 45 goals in the 21 matches that preceded Bartra's arrival... incapable of keeping a cleansheet, capable of scoring bucketloads and conceding even more Setien's men were the entertainers' entertainers, purveyors of beautiful but seemingly useless football. At the end of January, they were mired in 13th... and they were going down. Fast. 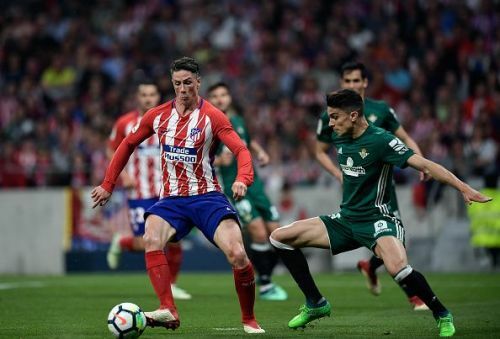 When Bartra arrived, Setien immediately switched to back three and until this past weekend, his team had conceded just 18 goals in 14 matches, 9 of them clean sheets... As the penultimate gameday of La Liga approaches us, Real Betis are fifth. The Setien system is not for everyone... "I understand football through the ball" he once told Sid Lowe in this brilliant interview where he attempts to explain his obsession with possession, with passing the ball out of the back, with indulging his creative players... but for Bartra, a man brought up on the 'Possession is God' gospel of Barcelona and La Masia, this looked like - and has turned out to be - a perfect marriage. "Setien, for me, is one of the best coaches that I’ve had – he doesn’t forget anything, doesn’t do anything random, we know what to do on matchdays… we training every time with the ball, we training [for in-match situations] and this is really, really, important for the players to feel the confidence and you know he has a lot of experience also because he was a football player and so he has the experience also..."
And because of this, he doesn't mind having a sustained spell in a back three for the first time in his career (Tuchel did experiment with a three for a while at Dortmund, but as with many of the German's experiments, it wasn't a long-lived one): "I’m feeling very very comfortable with both systems, whether it be three at centre-back or four, because the important thing is the style and the philosophy, which Setien is not going to change… because when you have the ball his style is the same whether it be three centre-backs or two." In Bartra's book, quality of play - and a respect for his abilities - are everything. You can see now why he decided to jump at the chance offered by Betis... for him, it was no step down after the lofty heights of Barcelona and Dortmund, for him it was merely a shot at happiness: "My aim is to be loved where I am and to be happy playing football. Daily happiness is the best thing I can have"
Bugger me if I haven't heard a better philosophy than that. He harbours no ill will towards anyone in Germany and nurses only fond memories of the nation and it's people...."I learned a lot in the Bundesliga and the Champions League and I enjoyed a lot and for these experiences, for this mentality, my time in Germany was really positive." ...but he isn't shy of telling us just how much he loves it in sunny Andalusia: "For many people, Seville is one of the best cities in Spain and it’s a city with a lot of charm… and I feel like I’ve been living here for a lot of years, I’m really comfortable in the city and the teammates and because of these good things, you can adapt quickly no?" He's had his fair share of challenges in his brief time at Betis, none greater than when a rampaging Real Madrid blootered 5 past him and his mates in the Villamarín ("this was a really good match, though. They have really good players" he tells us), but he's overcome much more before... and in his own words, he's at his "best form both mentally and physically". He is hopeful that Julian Lopetegui will give him a look-in when he decides who to take with him to Russia with the Spanish national squad... on current form, there isn't a better defender in Spain. "Today Betis-Sevilla is very attractive because of the level and because the teams are playing for European places, and this makes it even more beautiful than it already is, you know. When I see the derby from the other side, I enjoy a lot how they live; this weekend it will be a privilege to live from inside." He adds, the joy tangible in his infectious laugh over the grainy trans-oceanic connection, "A derby is the kind of game that’s not only played with the head but also with the heart, a game that you know [during which] every good action of the team [makes] thousands of people happy. This is really special and we will try to do our best for our people." 'Our people' - Marc Bartra is already one of them and come the 13th, you can bet your bottom dollar that the handsome, unassuming, soft-spoken gentleman wearing no. 15 for the green-and-white will give his all to give his team victory, and to bring a smile to the faces of his people, his mates, himself. After all, that's what brought him to Seville... the pursuit of happiness.